"He needs to get his own players!" "We need to back our manager!" These are just a few out of the many statements Arsenal fans make on a daily basis. Let's start with what Emery was hired for. Firstly, it was to get Arsenal back into the Champions League. Secondly, it was to help the Gunners in competing again. Finally, it was an outlet where Emery could quench this thirst for "fresh ideas". 26 games in and a point off top 4 is not bad, right? However, you have to look at the larger picture. Let's first divide the season so far into 3 different phases so that we can take a closer look at how things have progressed. 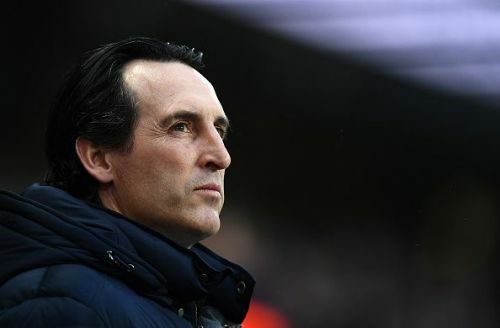 Ten games into the season, Unai Emery's side were on an unbeaten run of 8 games, taking 22 points out of an available 10 points. Arsenal were 4th. According to expected points (xP) they were 9th with 13.7 xP and got the rub of the green there with a goal tally of 24 as opposed to the xG tally of 14.4, behind Manchester United who at this point had begun matching what last year's horrific metrics were consistently predicting. A bit of luck certainly helped the Gunners. Ten more games through, you'd think the numbers would start to add up by now. Arsenal scored 18, conceded 17 and added another 16 points to their tally with xG predicting 15.9 goals for, 13.8 goals against and a points tally of 15.9. The Gunners were still overperforming although mildly. We're through the final 6 league games and a third look at the numbers indicates that Arsenal are now performing more in line with their metrics than ever before. They've scored 11 (xG 12.1), conceded 7 (xGA 7.8) and collected 12 (xP 10.9) points on their way to 7th position now based on xP. So what has happened? 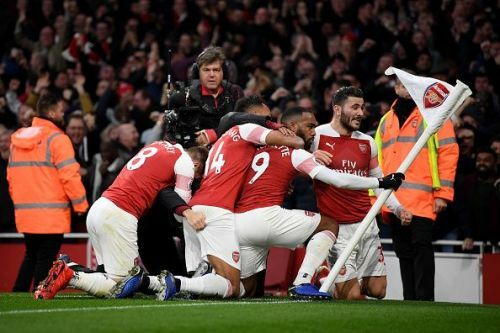 As you may have already realised, Arsenal's xGD (expected goal difference) has been improving over the course of the season; -0.02 to +0.21 to +0.43 per game. To provide context, Manchester City have an xGD of +1.74 per game and Liverpool a +1.32. However, this does not tell the whole story, not nearly half of it. While Arsenal are improving, it's important to note that the Gunners are behind where they were at this stage last season. Understat has Arsenal at an xP total of 40.5 while Arsenal really have 50 actual points, at this stage last season Arsenal were on 45 points with an xP of 47. This makes for grim reading for anyone harbouring hopes of the Gunners making it to the top 4. Arsenal are supposed to have conceded more (5 more) and scored fewer (9 fewer). This discrepancy could however end up disappearing or at least minimizing if Arsenal continue to improve. Burnley had an xP total of 41 (a full 13 points behind their actual total) last year which would have seen them finish mid table and a mere 5 points above relegation, they finished 7th. This season Burnley are well on par with xG and are mid table. Another horrific example is that of Manchester United. After finishing 2nd with a points total of 81 when Understat had them at 6th with a modest 62 xP, United came crashing down to reality earlier this season which is further proof that you can only ride your luck for so long. So let's take a deeper look at Arsenal's offensive numbers, they're shooting fewer times per game this season (12.2 compared to 15.7), they're creating fewer chances (9.4 compared to 11.7). It makes one think that surely such a decline in the attacking department would suggest that the side is now more stable defensively and less threatened to opposition counters. Not quite. The Gunners are conceding on average 12.9 shots per game compared to 11.1, their xGA (expected goals against) per game over the season has been 1.36 compared to 1.19 last season when Arsenal did not even have a recognized senior defensive midfielder at the club. Add to these damning statistics the fact that Emery has diminished Arsenal's potency in attack to incorporate additional defensive players while making the defence worse simultaneously and it just makes him look foolish. Arsenal's frontline lacks genuine width and "What is Unai Emery's attacking philosophy?" I hear you ask. Create overloads in the wide spaces to either supply a cross in or allow an attacking player to cut inside. This attacking strategy can only take the Gunners so far and a with a lack of recognized wide talent at the club, this has potential to further hamper Arsenal's season. Compact, organized and well drilled defensive sides can often cause problems to the Gunners in this regard which is why at times it can seem like the Gunners are just mindlessly recycling possession without providing any real threat (something that was regularly criticized during Arsene Wenger's last few years at Arsenal). Arsenal's recent defeat away to BATE is just further proof of that. It is not something that should cause long term concern though as this could all very well change next season if Arsenal were to sign wingers, which it seems they most certainly will and as previously stated, the Gunners are getting better over the course of the season which could quite easily translate to a concerted push for the top 4. But Arsenal fans need to ask themselves if this is what they really want to see. Whatever happened to "The beautiful game"? Even at their worst, the Gunners have always adhered to an attractive brand of football, one that fits well with the talent level at the club. That strategy, although not always productive and some would say often counter-intuitive, worked, it was good to watch and at the very least Arsenal fans had that if not the results. As fans very often said, "We knew what we were getting and although at times it seemed frustrating, the good times made it all worth it." Under Emery this has all changed, it's now a case of "Let's just get back into the Champions League" which is all well and good for a brief period at a club that prides itself in playing a positive, attractive style of football, maybe for a season or 2, long term; it could be a tough ask from the fans. This just brings more attention to Emery's team selection and to a familiar name around the Emirates, that of Mesut Ozil. 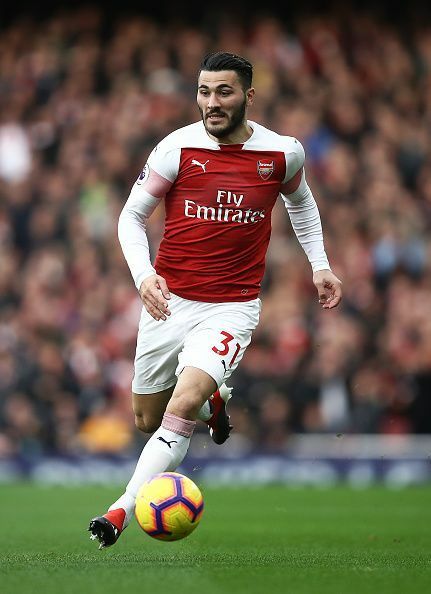 It is flabbergasting that when the side's offensive numbers have dropped off the Spaniard refuses to reintroduce Mesut Ozil to the first team. People often mistake Emery for this extremely pragmatic and tactically adept coach even though his strategies seem to always focus first on minimizing the opposition's attacking threat and then on creating overloads in the wide areas for crossing or dribbling opportunities and it is only in these situations where the pragmatism is required as far as he is concerned and not in situations where it really matters. It is therefore very obvious why Emery doesn't fancy Ozil, and while he may be overpaid and hesitant to press, there is still a lot of value to be extracted there. Emery desires robust players that assist facets of his playing style whether that's defensively or offensively and if they don't do exactly that he has no use for them. 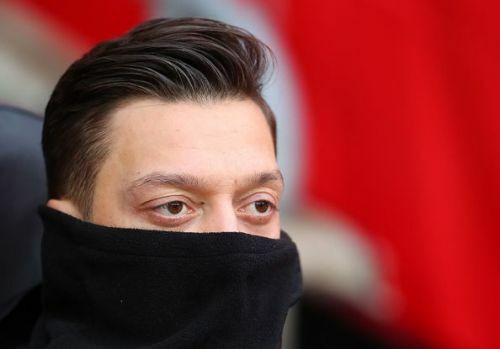 What's telling here is that in the few games that Mesut Ozil has featured in since November it has often only been borne out of desperation and even then Emery has refused to change the side's system to help better accommodate the German or allow the attack a bit more freedom to flourish. It is well known to most that Ozil is not the type of player to run down the wing and put a cross in. He's the kind that will create chance after chance when he's on the ball, ones that can often be defence splitting, which is not what the former Sevilla boss wants or even allows. So it is clear that Emery's stubbornness to change his attacking style in order to better suit the team is costing Arsenal. Couple Ozil's omission with the arrival of Denis Suarez and you really start to doubt Emery's suitability to the project at hand. We're now at the point now where serious questions need to be answered. Raull Sanllehi and Vinai Venkatesham need to reach a consensus on how much longer this project should continue. The factors leading to the decision need to focus on whether the coach is capable of solving the issues in attack, that is if they deem the style of play one worthy of the club's ideals. Arsenal's Head of Football Relations and Managing Director need to ask themselves if the sacrifice in style and attacking verve will make it all worth it in the future with quality signings. Their biggest concern should be about the club's position in the European spectrum and if a conservative style of play would sit well with the fans. The Spanish tactician's safety first approach is stunting the Gunners attack and with little to no evidence that the defensive style seems to be working. Contrary to what most tend to say about Emery, he has not been adaptable to Arsenal in this regard at all. Emery and Arsenal are a stylistic mismatch and sometimes that can be tolerated if the results are acceptable which they're not. Coupled with Emery's reluctance to properly embed and utilize the top quality talent available at the Emirates and you start to scratch your head to find a reason why Arsenal should stick with the former PSG boss. - Arsenal's defence has gotten worse. - Arsenal's attack has gotten worse. - Their style of play is distasteful. - It's highly likely there's just going to be more of the same in terms of style of play. - Mesut Ozil has been isolated for not fitting Emery's rigid dysfunctional attack. -It doesn't look like Arsenal are "competing again." -It doesn't seem like the "fresh ideas" at hand are really any better than those at the club before. -They maybe, just maybe getting better. While these are all not at all what you'd expect from one of the world's richest clubs coming off the back of their worst ever year in this century, as the numbers suggest, things have gotten worse and it may be time for another change.